The TECNALIA Technological Corporation is taking part in the Cenit Intelimplant project, the goal of which is to develop advanced biomaterials based on innovative technologies (microtechnologies, nanotechnologies, tissue and surface engineering) for the manufacture of a new generation of implants which have greater durability and reliability, need less recuperation time and that provide data on their state and progress. Researchers in Missouri have borrowed the technology that living cells use to produce energy to develop a tiny, self-powered sensor for rapid detection of hidden explosives. There is an urgent need for more testing, extending existing governance arrangements and creating new arrangements for the control of the rapidly developing field of nanomaterials, according to a report by the influential Royal Commission on Environmental Pollution. The international summit of the world's leaders in nanofibers - Nanofibers for the 3rd Millennium - NANO FOR LIFE organized in the cooperation of Elmarco Ltd., Technical University in Liberec, North Carolina State University and Institute of Experimental Medicine AS CR, will take place on 11th and 12th March 2009 in Prague, Czech Republic. 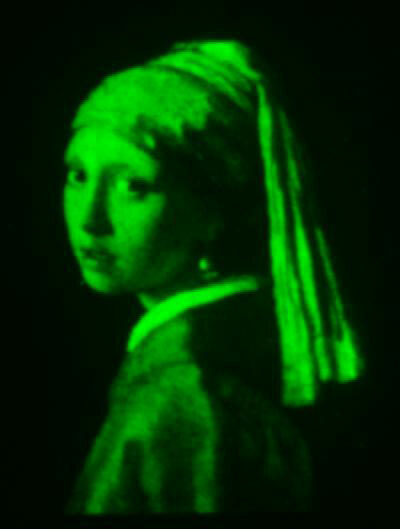 The worldwide competition NanoArt 2008 is open to all artists 18 years and older. The online exhibition will open for the public on January 20, 2009. The Chemical Heritage Foundation's 'Molecule that Matters' exhibition and lecture series is more than half way through its run. The exhibition showcases 10 organic molecules that profoundly altered our world: aspirin, isooctane, penicillin, polyethylene, nylon, DNA, progestin, DDT, Prozac, and buckminsterfullerene. The exhibit connects each molecule to one decade of the 20th century. 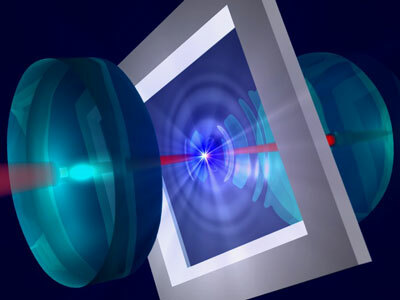 According to recent theoretical papers, it should soon be possible to explore the weird effects of quantum mechanics with a drum-like reflective membrane vibrating in an optical cavity. Tomorrow, on November 12, 2008, the Royal Commission on Environmental Pollution (RCEP) in the UK will publish its latest report on Novel Materials in the Environment: The case of Nanotechnology. The analysis of nanotechnology coverage in German print media was the subject of a research project conducted by the Federal Institute for Risk Assessment (BfR). The results: In the media coverage nanotechnology is not presented as a risk technology; most articles stress the benefits of this new technology. On October 27th-31st 2008 'The First School of Metrology and Standardization in Nanotechnologies, Nanoindustry and Nanomaterials' was conducted by the Russian Corporation of Nanotechnologies (RUSNANO) together with the Federal Agency for Technical Regulating and Metrology. The supervisory council of the Russian Corporation of Nanotechnologies (RUSNANO) recommended the board of directors to approve the investment in a medical project aimed at the development, design and building of high technological scientific and industrial beta complexes for the production of medical technology. Canadian researchers have created a new protein patterning technique that's enabled them to reproduce complex cellular environments and a miniature version of a masterpiece painting. The Cancer Advanced-Technology Team that is developing an imaging system to limit the spread and/or reccurrence of that disease has been named the winner of CIMIT?s annual Edward M. Kennedy Award for Healthcare Innovation. The Knowledge Foundation has announced that their upcoming two conferences, Detection Technologies and nanoKAP, will be live webcast from Phoenix, AZ from November 12-14, 2008. Clemson physics professor Apparao Rao and his team are researching nano-scale cantilevers that have the potential to read and alert us to toxic chemicals or gases in the air. Put them into a small handheld device and the potential is there for real-time chemical alerts in battle, in industry, in health care and even at home. Researchers can now do their own analysis of research on the risks of nanomaterials with a new tool unveiled today at the website of the International Council on Nanotechnology (ICON).